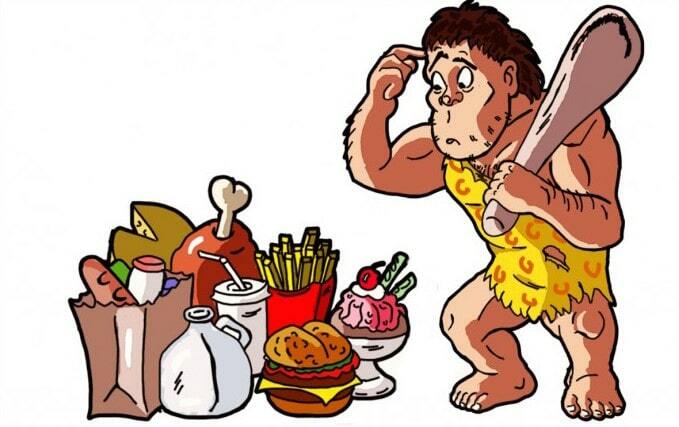 Eating Paleo means eating only te foods that were available to our ancestors during the Palaeolithic Era. This means anything that is not produced organically through nature is prohibited from the Paleo Diet. From this definition, you might assume that since vegetables grow naturally from the Earth that they are all allowed on a Paleo Diet. Well, you'd be correct; all vegetables are permitted while following a Paleo Diet. The question is, what is a Vegetable? Many fruits are commonly misconstrued as being vegetables, tomatoes being the most common example. But this misconception is not limited to tomatoes. Plenty of plants that are traditionally thought of as vegetables are actually fruit, many of which are Paleo, but some of which are not. ‍Well then, what is a Vegetable? Let’s start by acknowledging that there are only two types of edible plants; fruits and vegetables. A fruit is botanically defined as 'the seed-bearing structure in flowering plants formed from the ovary after flowering' (see article on fruit for more info). Thus, any edible portion of a plant that is not a fruit, is a vegetable. 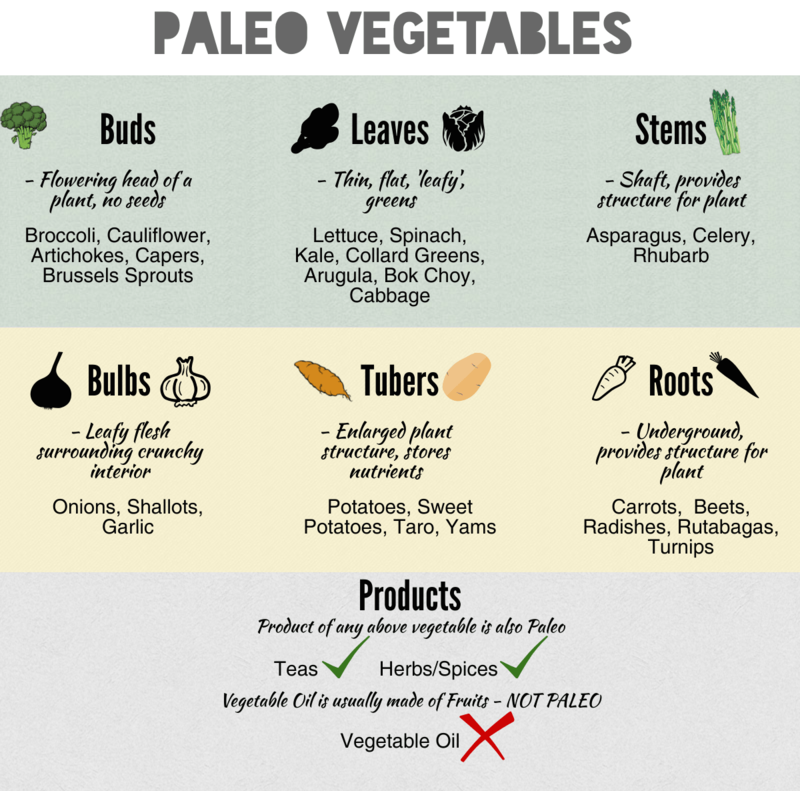 There are six primary categories of vegetables, all of which are Paleo approved. This means any edible plant that can be identified in one of these categories can be consumed while following a Paleo Diet. This chart lists many common vegetables that fall into each category. However, it is not a comprehensive list. The descriptions should assist you in making your own educated decision about whether or not your favourite vegetables are Paleo approved. To reference whether any specific food is Paleo, check out Ultimate Paleo Guide. Any vegetable product that contains 100% natural ingredients is also Paleo approved. Vegetable products that have non-Paleo additives are banned from the diet. We now know which vegetables and which fruits are Paleo. Check back in a few days for a video that explains everything you need to know about how to eat Paleo in the simplest terms possible. You can use this information to develop your own Paleo diet and evaluate how effective it is for your lifestyle.